I’m Alyx. You’ll likely find me slicing demons with my blades rather than plucking at harp strings. When I meet Israel, a handsome yet mysterious mortal, the connection is…electric. Earth-shattering. And almost gets me killed. He’s trouble. And our friendship is forbidden. Trouble likes me... Turns out we’re the only thing standing between Earth and the coming Armageddon. You hear about it all the time and it's the balance, its the way of life, but is it really that simple? A little hard to start with, but after a few chapters it is great! Persevere, it is really good when it gets going. 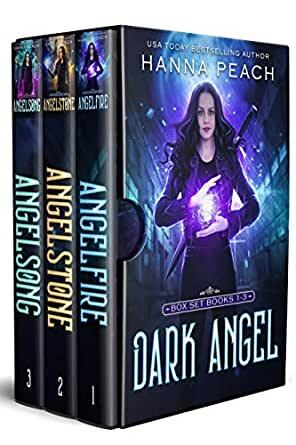 I have already recommend this series to a friend and bought the rest of the series I am currently on book five and loving it. 5.0 out of 5 starsWho needs sleep? I enjoyed every moment of these two books. It was very interesting and entertaining. I couldn't put it down. I can't wait to read the next book.